Blogs are the absolute dream of the modern SEO company. They invite discussion, keep content fresh, spread the word about the business and help SEO efforts enormously all at the same time and for generally little input. Well, more often than not it isn’t a case of those at the bottom of the ladder doing anything wrong, but rather the fact that they’re not using a few of the tricks guaranteed to boost the potential of any blog. Here’s a trick that works in all aspects of SEO and especially well in blog entries  play around with ‘versus’ entries. Whether looking to compare two products from the same niche, two movies you want to talk about or any other two or more things, the reason it works is your titles will naturally feature two strong keywords without looking in any way forced. For a tech blog for example, a blog post on the “iPhone Versus Nokia Lumia” for example gives you the chance of picking up traffic looking for either of these two devices. Begin writing any question into the Google search box and before you get any further than “how” you’ll see dozens of examples pop up of what people have been asking. The point  people use the web to answer their questions, so why not answer relevant questions in your blog? Think of the questions you and your company have been asked most over recent months, or better still open up the floor to questions from your readers. Include the question in your title to help pick up the traffic and you’re golden. The power of comments is immense. First up, you must allow for comments on your blog and when comments are left, you must make the effort to reply to each and every one to show that you’re actually interested. And secondly, you should be using the comment space of any other relevant blogs you can find to share your message with readers of other sites and ideally divert a little of the traffic your way. Used effectively, comments are worth their weight in gold. Any blog can quickly begin to look boring when it’s composed of nothing but page after page of text, text and more text. You don’t have to devalue the blog by covering it in thousands of annoying smileys and Gifs, but you could certainly make it more appealing with a few relevant photos here and there. And finally, if you think you’re God’s gift to blogging and you want to share your talents with as many folks as possible, consider making the effort to post blog entries on other website’s blogs. The bonus for them is quality content, while the bonus for you is getting your name, your brand and your massage to a wider audience and maybe even an extra back-link to boot! 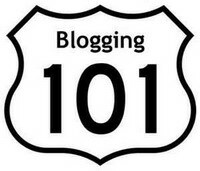 Business Blogging Pros, Cons, Best Practices. How to Be a Great Blogger.